Copper waves lap at the shores of green quartz in this coastal gemstone earring set. The gems watery quality mimic seaside palisades and reveal flashes of russet in the surroundings. 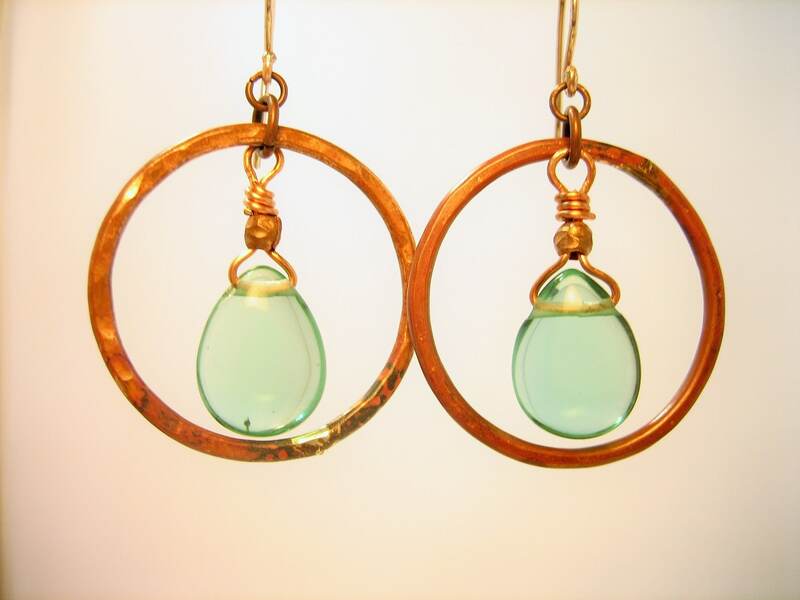 Simply hammered copper hoops with large aqua green quartz wrapped with delicate copper wire as a center piece. Handcrafted, hammered copper wire, wire wrapped with copper wire, polished finish, approx 1 1/2" dia; hand formed 14k rose gold filled French wires. Pendant necklace to match available upon request. Please feel free to contact me about custom orders or any questions you may have. Thanks for browsing my shop!